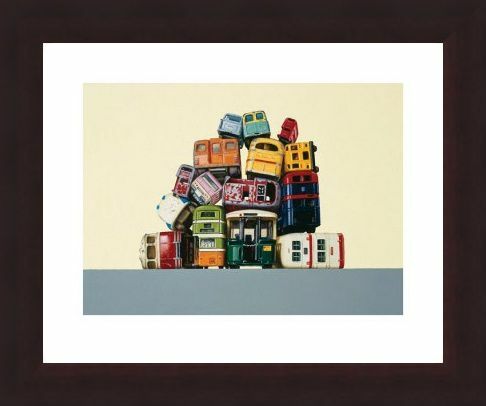 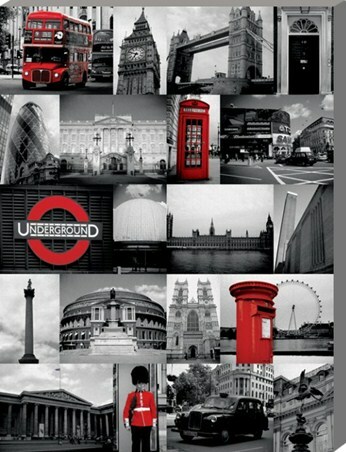 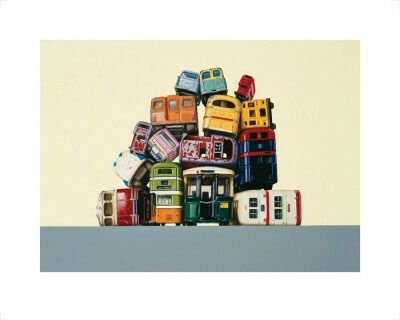 Art Print: This lovely art print of a pile of buses would be perfect for any vehicle lover. 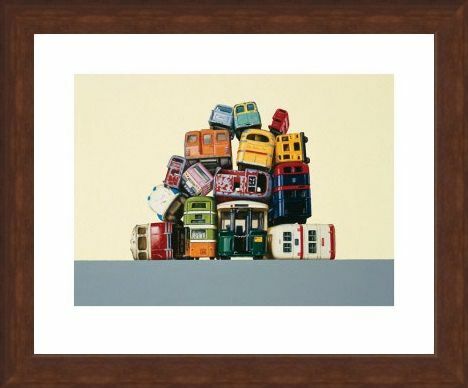 With it's cute and playful style, these toy buses are sure to put a smile on anyone's face. 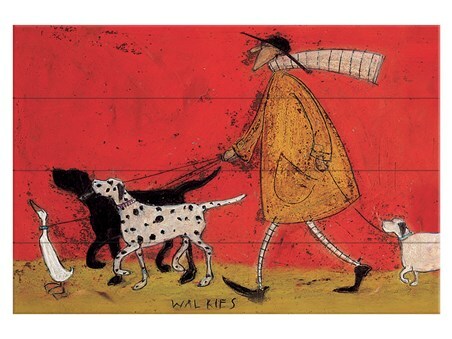 Painted by artist Jeremy Dickinson, you can really tell that he loves the subjects of his creations. 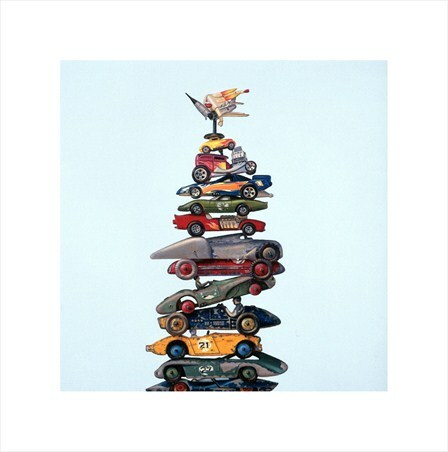 Famous for his vintage vehicle pieces, Dickinson manages to develop a pile of rusty scrap into a picture which is bursting with character and enthusiasm for the world of motor cars. This beautiful art print features a mixture of old bangers and shiny, new colourful buses, all painted with incredible attention to detail. High quality, framed Bus Rears, Jeremy Dickinson print with a bespoke frame by our custom framing service.